President Obama made his final appearance on "The Daily Show" with Jon Stewart Tuesday night, and like many, the commander-in-chief will be sad to see Stewart go. "I can't believe that you're leaving before me," Obama told Stewart. "In fact, I'm issuing a new executive order that Jon Stewart cannot leave the show. It's being challenged in the courts." "I have to say, for me, this is a states' rights issue," Stewart dryly responded. During the interview, Stewart and the president touched on topics ranging from the Iran nuclear deal to Donald Trump making a run for the White House. "I'm sure the Republicans are enjoying Mr. Trump's current dominance," the president said. "Anything that makes them look less crazy," Stewart smirked. Obama and Stewart have had some memorable moments over the years, but now both are nearing the end of their tenures. Stewart is signing off on August 6 and the president is nearing the end of his second term. 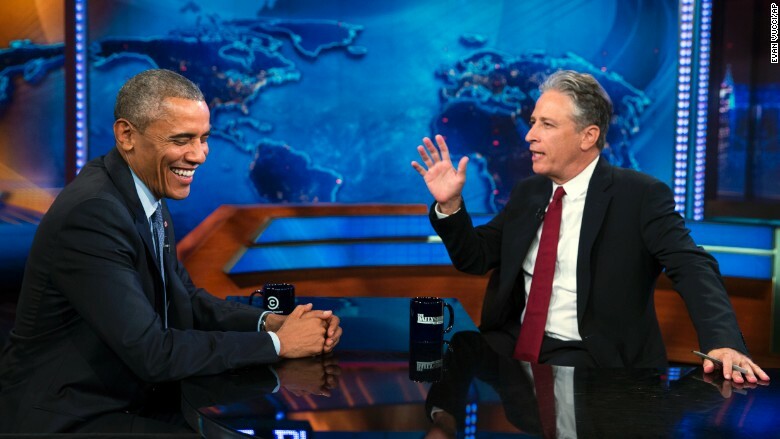 Stewart made a point to ask Obama about his relationship with the press. "The media is a bunch of different medias. There are some that get on my nerves more than others," Obama said. "I think it gets distracted by shiny objects and doesn't always focus on the big, tough choices and decisions that need to be made." The president continued by saying that this "Balkanization" of the media makes it hard to have "one conversation." "You got folks who are constantly looking for facts that reinforce their existing point of view as opposed to having a common conversation," Obama said. "One of the things we have to think about ... is how do we join together in a common conversation around something other than the Super Bowl." 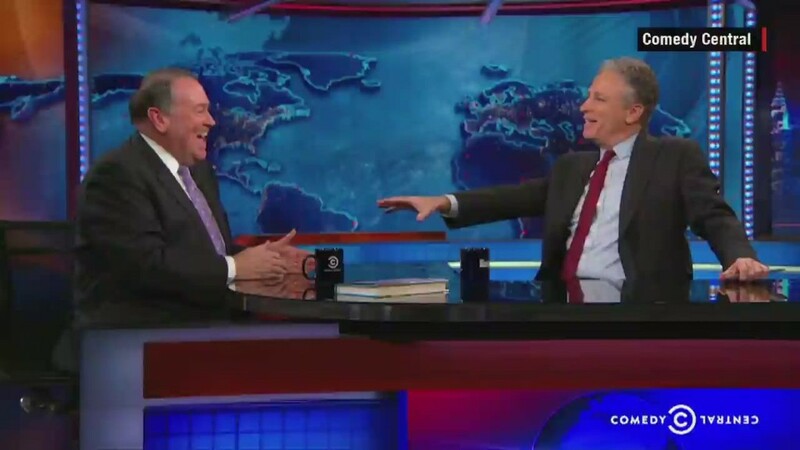 The president ended the interview by shaking Stewart's hand and saying, "you've been a great gift to the country." Before Tuesday's final appearance, Obama appeared with Stewart six times since 2005, two of which came when Obama was in the White House. Some of those appearances could be seen as light banter. But as Obama's former press secretary Jay Carney told CNN, some were battles. "During the 2012 re-election cycle the president gave a lot of interviews ... the single most difficult, most challenging interview he had to endure was from Jon Stewart," Carney told CNN's Reliable Sources on Sunday. "We went to a place that I think a lot of people would have perceived to be a friendly environment, and he got chewed up pretty good."